The main theme of SLRC 1 was to conduct research in different areas highlighting the complex relations between service delivery and state legitimacy. This project has been implemented in 8 countries including Afghanistan. 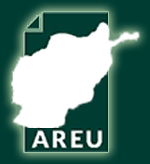 Given that AREU had limitations in creating a good policy engagement strategy based on the publications produced through SLRC, the AREU Director proposed a follow up assignment which resulted in ODI/SLRC’s agreement to produce two policy briefings. The first one will focus on synthesizing the linkages between state-legitimacy and service delivery though looking at sub-national governance policy and the Citizen’s Charter program and the second one will be focusing on rural economy and access to credits. Both briefing notes to be ready by February 2018 for further policy engagements.